My, how time flies by! 2018 marks 30 years since The Village Shops opened in Naples. Thirty years of high-end fashion, fabulous food, anticipated annual events, and many memories! 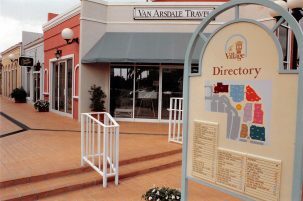 From the very inception and still today, The Village Shops is heralded for its award-winning design, waterfront setting, and eclectic mix of specialty retailers. While taking a trip down memory lane, it is imperative to recognize the retailers and restaurants, with their unique offerings and family friendly staff and atmosphere that have helped mold The Village Shops into what it is today. In 1988, The Village Shops welcomed many wonderful tenants, eight of which still remain today. These eight tenants – Ben & Jerry’s, Fabec-Young & Co., M Waterfront Grille, Premier Sotheby’s International Reality, Robert of Philadelphia, Teruzzi, The Lutgert Companies, and WM. 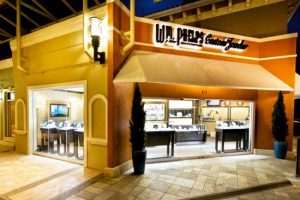 Phelps Custom Jewelers – are staples to the Village for the unique shopping, fine dining, and exemplary services they provide. 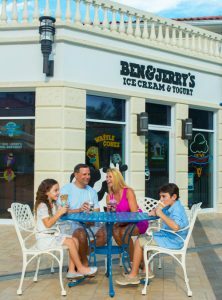 Ben & Jerry’s has been a mainstay at The Village Shops On Venetian Bay for 30 years and is the only Ben & Jerry’s location in Naples. 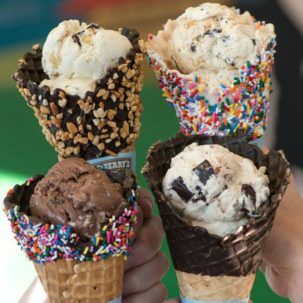 Ben & Jerry’s has and continues to be Naples’ favorite ice cream shop with its ever-evolving list of euphoric flavors, toppings, and combinations. Whether going simple with their award-winning Vanilla or piling on the scoops, there are over 60 flavors to satisfy each and every taste bud. There is even a selection of mouthwatering flavors that are exclusive to The Village ice cream shop, including Butter Pecan, Mint Chocolate Chunk, and Triple Caramel Chunk. Whether on a shopping break or enjoying an after dinner dessert, Ben & Jerry’s has given customers a taste of “Vermont’s Finest” and Naples’ best ice cream for 30 delicious years! Ben & Jerry’s is located on the north side of The Village Shops in suite 212. Call the shop at 239-434-5850 for information on flavors. 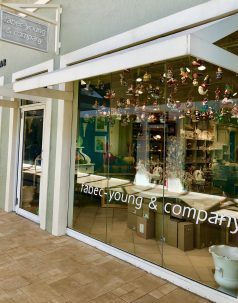 Fabec-Young & Company is a coveted home décor and gift shop serving Naples since 1988. 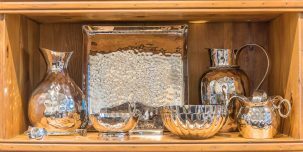 With glassware, flatware, dinnerware, pewter, floral arrangement, and more, the one-of-a-kind boutique has made entertaining and decorating stress-free for 30 years. The selection of home décor items is bountiful and correlates with a number of holiday, dinner party, and other entertaining themes, creating picturesque results no matter the occasion! Fabec-Young & Company also carries a unique inventory of gifts making it easy to find something for that hard-to-buy-for person. Whether “the hostess with the mostess” or the houseguest, there is something for everyone! Fabec-Young & Company is located on the north side of The Village Shops in suite 604. Call the boutique at 239-6489-5501 for all your gifting and hosting needs! 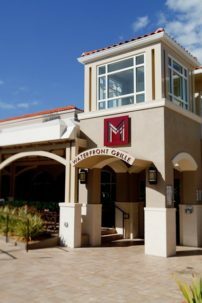 M Waterfront Grille, originally known as Maxwell’s on the Bay, has been a Village staple and Naples favorite for 30 years due to their famous New England-style steaks and seafood. 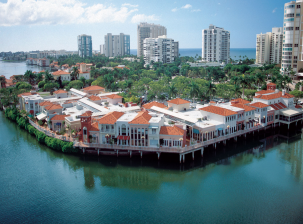 In 2008, after an extensive renovation, the restaurants opened the doors to a new contemporary, yet refined, M Waterfront Grille. 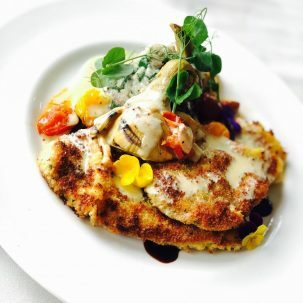 The menu features cutting edge continental cuisine specializing in fresh seafood, steaks, organics and handmade pasta. The exemplary cuisine, ambience, and waterfront views has led M Waterfront Grille to winning numerous awards including‘The Best Sunday Brunch’ by the Southwest Florida Choice Awards, ‘Golden Spoon Winner’ by Florida Trend Magazine, Trip Advisor’s ‘Travelers’ Choice’, a Zagat Rating, and Wine Spectator’s ‘Award of Excellence’. M Waterfront Grille is located on the north side of The Village Shops in suite 104. Make your reservation today at 239-263-4421. 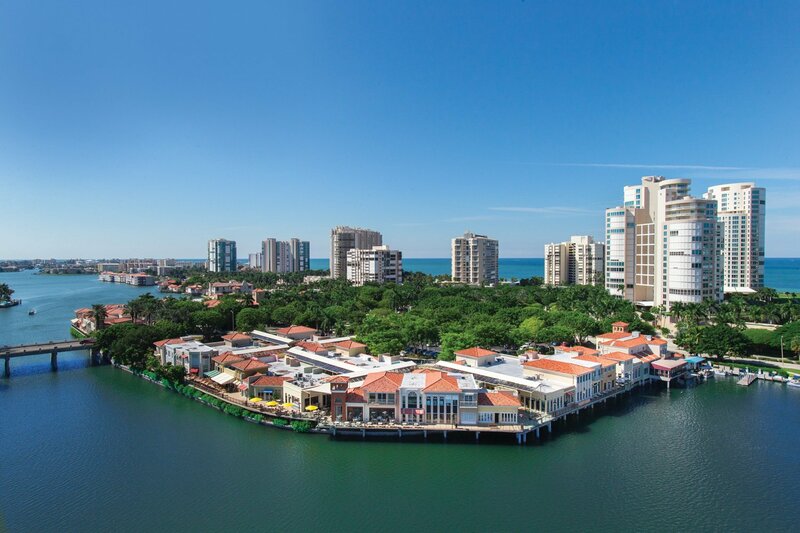 Premier Sotheby’s International Reality, formerly known as Park Shore Properties, opened its first sales office at The Village Shops, servicing the developing area of luxury beachfront towers and single-family homes. The company continues to do so today, led by real estate veteran, Judy Green. The ever-expanding company, a division of The Lutgert Companies,now has more than 22,000 sales associates throughout 960 offices in 72 countries worldwide. 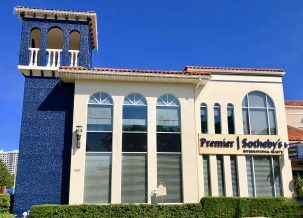 Premier Sotheby’s is located on the north side of The Village Shops in suite 100. Call 239-261-6161 for assistance with any of your real estate questions and inquiries. Robert of Philadelphia has been providing quality hair care, style, and service to The Village Shops since 1988. The spacious salon combined with the extraordinary stylists, creates a luxe, upscale salon experience and atmosphere unmatched in Naples. The stylists attest to the upscale brand due to their extensive on-going industry training in the field. 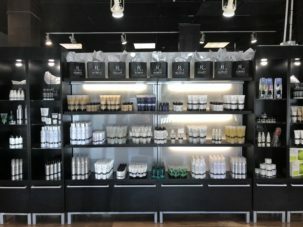 For 30 years, the stylists have kept up-to-date on all new techniques and styles continuing in today’s fast paced fashion industryproviding guests with the most cutting edge techniques, treatments, colors, and styles. ROP is located on the north side of The Village Shops in suite 810. 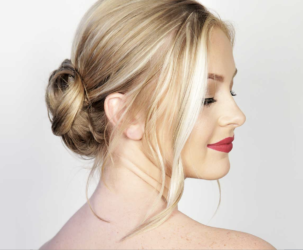 Make your styling appointment by calling 239-434-2211. 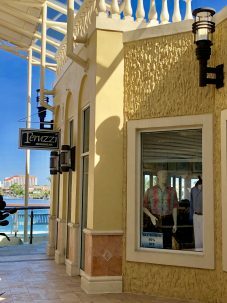 Teruzzi has been recognized throughout the years as five-star men’s clothing boutique. 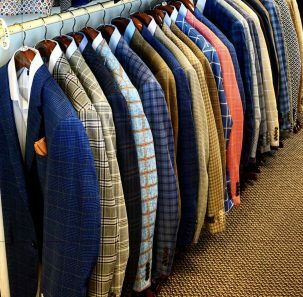 Teruzzi offers a wide assortment of menswear business and casual wear including sports coats, shoes, belts and button downs. 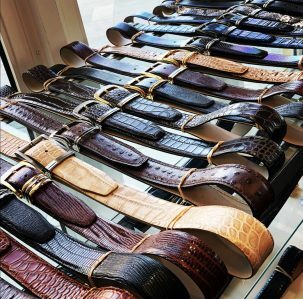 Over the 30-year existence at The Village Shops, Teruzzi has gained a loyal customer base, everything from businessmen looking for work suits to the active men looking for a casual button down. The men’s shop goes above and beyond to ensure the perfect outfit is within reach, including custom alterations. Terruzi is located on the north side of The Village Shops in suite 300. Call the menswear specialists at 239-262-1193. The Lutgert Companies is acknowledged as Southwest Florida’s pre-eminent real estate development company. 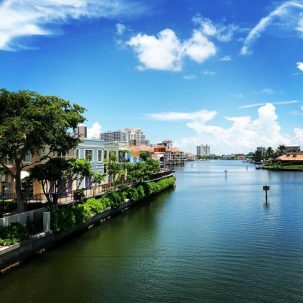 Since 1964, the company has developed properties at Park Shore Beach, Bonita Bay, Estuary at Grey Oaks, and Linville Ridge, North Carolina as well as shopping centers and office buildings throughout Southwest Florida. 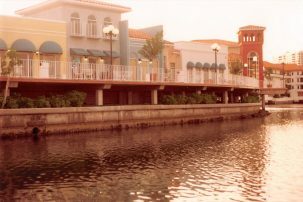 In 1988, Lutgert began the first phase of development for The Village Shops, attributing to the beautiful, Mediterranean themed/Venetian-style center that is present today. The Lutgert Companies has set the standard for the creative and environmentally responsible development of coastal and mountain properties. The Lutgert Companies is located on the south side of The Village Shops in suite 4200 and can be reached by calling 239-261-6100. 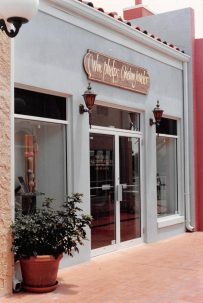 Phelps Custom Jeweler moved to The Village Shops On Venetian Bay in 1988. Their longstanding relationship with The Village Shops and Naples is due to dedication to their craft and loyalty to their customers. Housing three Master Goldsmiths, with a combined 100-plus years of experience, most of their ready-made inventory was designed and created in the shop. In store, you’ll find a combination of their originally designed custom jewelry and the Nature Collection, among several other one-of-a-kind pieces. WM. Phelps Custom Jewelers was featured in In store Magazine, as one of the “Top Ten Coolest Jewelry Stores in the United States!” WM. Phelps is located on the north side of The Village Shops in suite 812. Call 239-434-2233 for assistance picking out the perfect jewelry piece for you! Reminisce and celebrate 30 years of fashion, food, and fun at The Village Shops! The eight original tenants are honored and proud to continue to serve you, 30 years later!